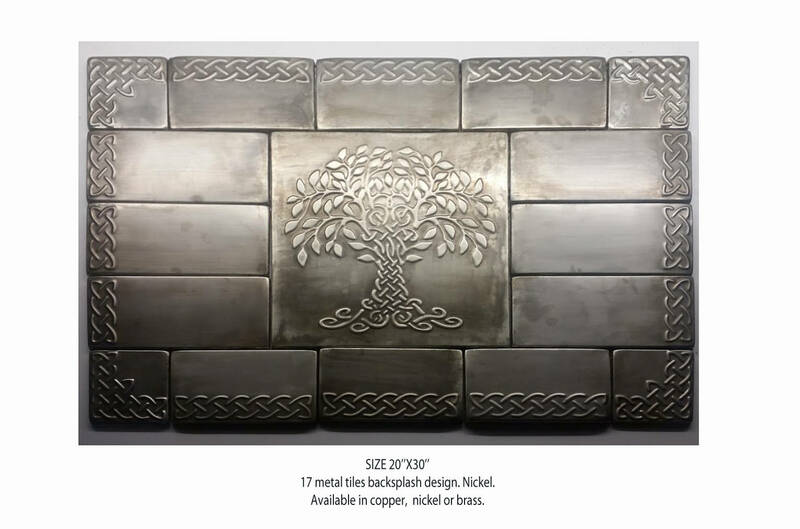 Backsplash metal tiles for your kitchen wall. Set of 17 tiles, One large tree of life in the centre plus border tiles celtic knots. Every copper tile we make is handcrafted from raw copper , brass, or nickel thickness 0.57mm ( .020") the same as for roof use. Its very hard, strong and durable. Unique tile, artistic tiles,one of a kind tiles, Individual tiles, feature tile, creative tile, focal point tile.